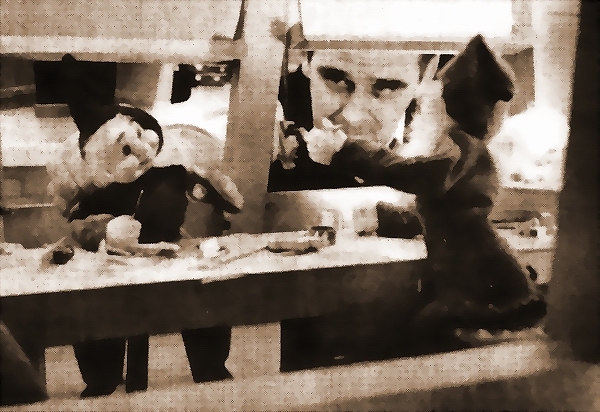 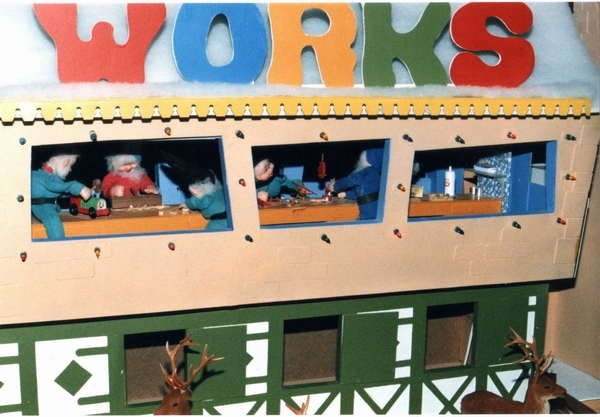 A "PALYWAG" was a Brinkworth Models creation, in the form of a small elf like creature that we manufactured ourselves. 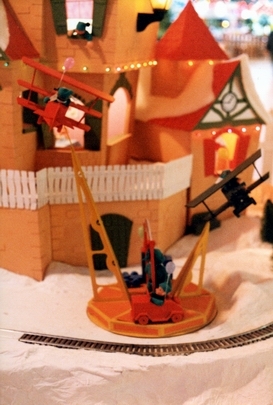 They can be seen above, working in the TOY WORKS, all mechanically operated, and moving continually with hammers and brushes etc, building the toys. 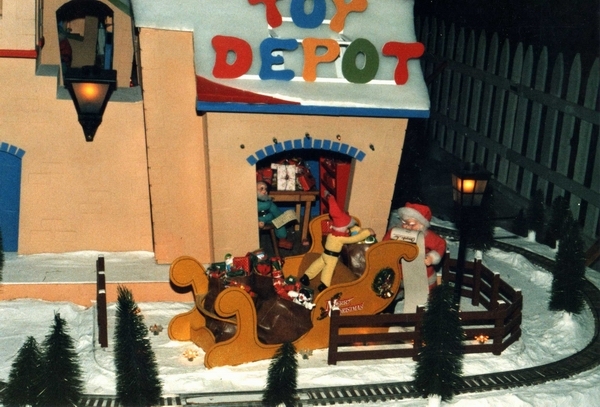 TOY DEPOT, with palywags carefully loading the Santa Sleigh, with Santa standing by, checking his Christmas Eve delivery list. 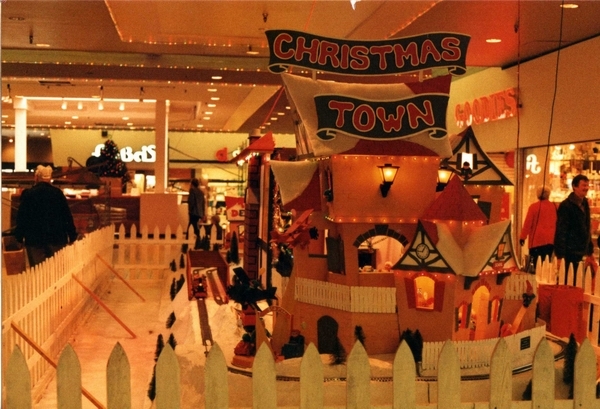 Our palywags, could be found all over our 1985, Richmond Square Christmas display, when all thee of our displays were on show that year. 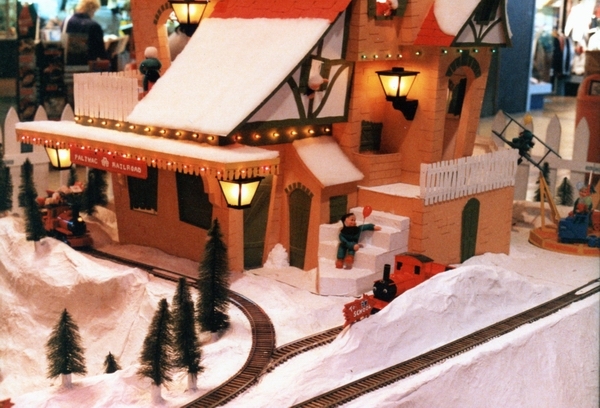 Our LGB miniature trains, ran from one town center to the other along a 24 foot long, "dog bone" looped railway track. 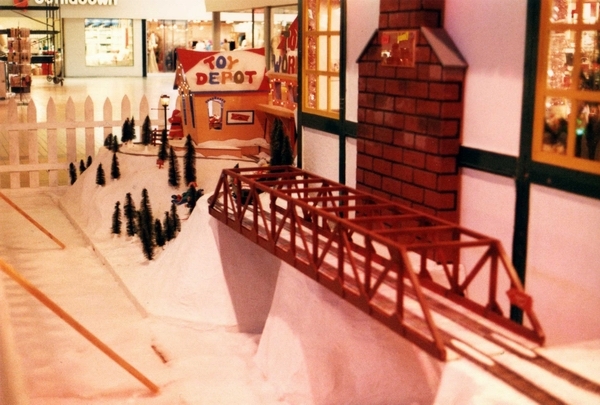 An 8 foot long, double track railway bridge (above), running along the back of the Santa House, allowed the train to run continually. 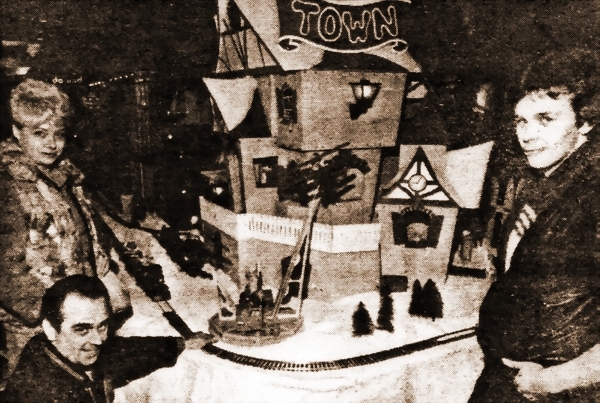 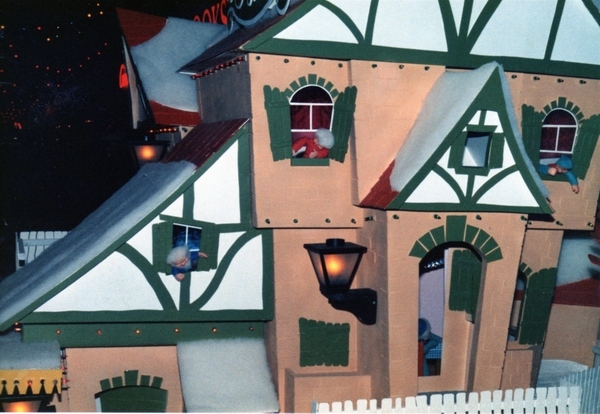 Christmas Town was the last display that Brinkworth Models made for Richmond Square Mall. 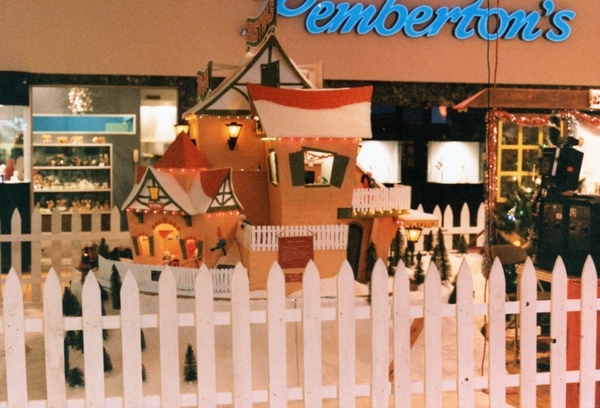 Wish we could have continued with the displays, as it was a lot of fun building them. 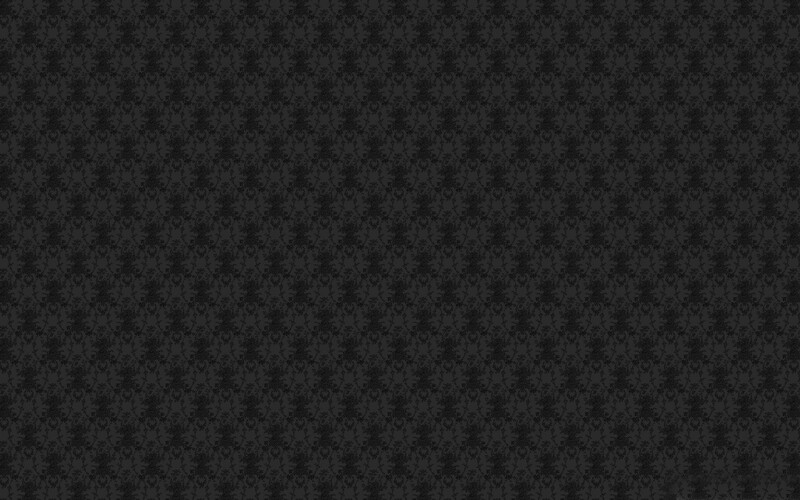 However, we had a good three year run with them, so it was time for a change. 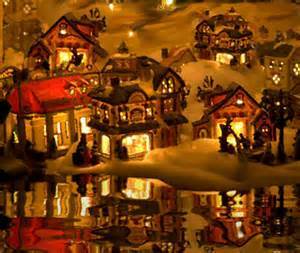 Palywags popping out everywhere, throughout our Christmas Town display. 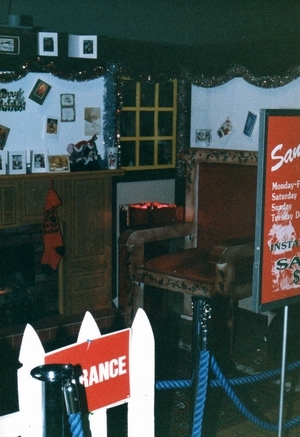 Santa's Living room with fireplace and chair for the "Photo's with Santa"